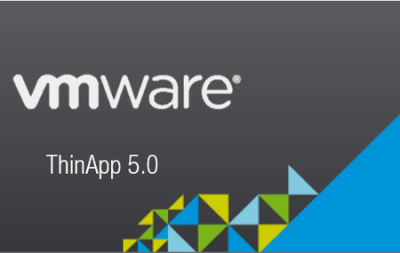 VMware ThinApp is designed to deliver virtualized instances of applications in order to help IT administrators with software migration to a newer operating system and eliminate specific conflicts and compatibility issues. Using this program you can create an initial baseline of your system, deploy or package software, check for specific differences. Configuration of the project settings is also available. modification: Deploy Office 97, 2003, 2007, and .NET applications on the same OS without conflict as the applications run independent of one another. - Zero-runtime execution: With no installed agent, no footprint is left on the endpoint device. Applications run directly from the compressed state without first caching data to the hard disk, achieving better performance and security of data. - 100% User Mode execution: Client runs on locked-down, unmanaged "kiosk" PCs without Admin rights to execute applications, enabling it to be used on managed and unmanaged PC. - Block-by-block network streaming: Applications virtualized execute once the minimum amount of code required to run the application is available in the desktop's memory. For example, less than 10% of Microsoft Office needs to be physically streamed to the client in order for it to run. LAN streaming has an average start-up time of just a few seconds. - Sandbox environments for terminal services: Provide sandboxing for applications running in a terminal services environment so that multiple users can run their own sandboxed application without affecting each other. If one instance of the application tries to make system-wide changes, other users running the same applications are not affected. - 64-bit operating system support: Enables applications to be virtualized and run on 64-bit systems. - Execution on thin clients: Tested and certified to run virtualized applications on Windows XP-based thin clients. - Proven deployments on simple-to-complex applications ranging from basic Microsoft Office to custom applications with Java or .NET. - Active Directory integration: VMware ThinApp does not require any distribution, streaming, or activation servers or agents. It works with AD, ESD enforcement tools, and open protocols so no additional hardware, software licenses and ongoing maintenance costs for backend infrastructure is required. - Execution from USB key with portable profiles/user settings: Enable a user to run critical applications from a USB key while maintaining corporate security requirements. - Integration with 3rd-party application management solutions: Creates .MSI and/or .EXE file that plugs into existing electronic software delivery systems (Inventory, - Configuration Management Database, Definitive Software Library, Packagers) without additional integrations required. - Application Sync: Enables application updates for mobile users as well as third parties on the corporate extranet, ensuring availability of the latest version of the application, reducing patch risks to machines that are taken off the network. Update virtual applications via http/https over the LAN or WAN leveraging existing software delivery systems. - Application Link: Allows packaged applications to dynamically establish dependencies ("links") with other packaged applications. Administers create separate packages of interdependent components such as Java or .NET runtimes and the applications that rely on them. Each component is delivered independently while sharing resources across multiple ThinApp packages. - Package it once, deliver to many: Execute a packaged application on Windows NT, Windows PE, or XP Embedded without retesting or repackaging the application for each operating system. - System snapshots: Provides administrators with a rapid three-step process for pre- and post-install system states for packaging simplicity and for supporting applications that require a reboot during the installation process. - ISV embeddable: Organizations can deliver their custom application throughout their extranet using VMware ThinApp application virtualization technology. ThinApp supports various operating systems, applications, and systems. ThinApp supports Japanese applications captured and run on Japanese operating systems. Certain operating systems and applications are not supported by ThinApp.